A sumptuous event, organized by a luxury brand, took place in January at the Petit Palais in Paris, France. 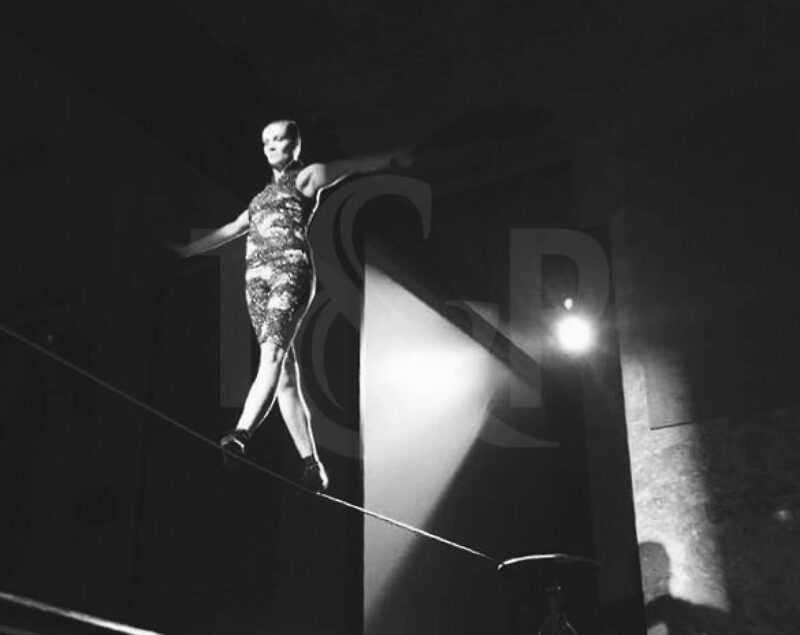 Our Tightrope Walker mesmerized the guests while walking on a very thin wire hanging in the air. Everyone was speechless in front of such an amazing act ! She certainly masters balance ! What a perfect event !